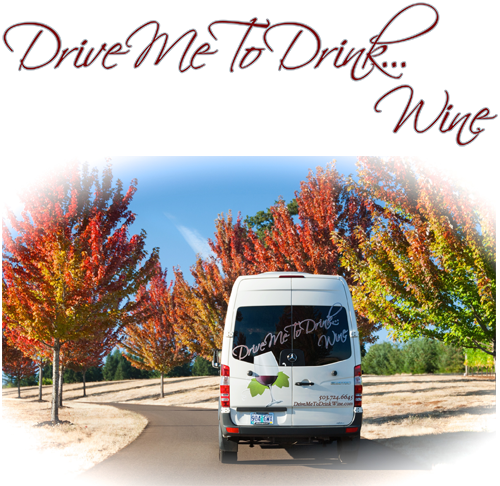 ...is a comfortable and carefree Wine Tasting Tour Experience, transporting you within the beautiful North Willamette Valley. Do you have a special day coming up and would like to celebrate in an equally special way? Anniversary? Birthday? Congratulations? Or wanting to show your Appreciation? Drive Me To Drink...Wine will take care of everything, while you relax and enjoy - making this a day to remember. This is your special event and you may have a specific winery in mind. Give us a call at 503.724.6645 and we will work with you in planning the perfect route and the perfect day, for you and your friends and family. While touring the North Willamette Valley, we've noticed which wineries are the favorites and work best together. We can offer many suggestions on which tour theme would fit well in celebrating your special day. Give us your 2 favorite wineries you have in mind, and we will build your special tour from this starting point. Or, we'll take you to Intimate Winery environments, or Wineries with a Lively atmosphere. Just call 503.724.6645 and we will help you select the right tour for you. Let us make this day delightful for you. Drive Me To Drink … Wine is operated by Dave and Joy Walker. Spend a day with Dave or Joy and let us show you why we are so passionate about this wonderful region's wine and wineries.